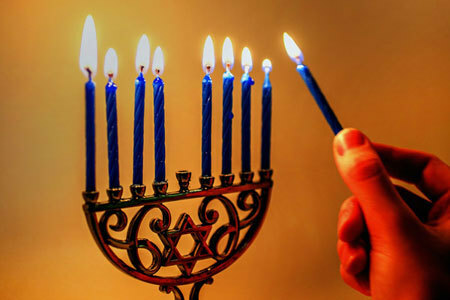 It is the holiday of Hanukkah, the Festival of Lights. It has been our family tradition these past few years, to perform eight mitzvot (moral deeds) over the course of the holiday, one for each light & night of Hanukkah. Our hope is that with each deed, each act of kindness that we perform, we can help to bring light and warmth into the world; at least our own little corner of it. Last night, homemade cookies in hand, we headed to our synagogue, Congregation Har Hashem in Boulder, Colorado. On a cold and windy Tuesday night, we were housing and feeding members of our homeless community in partnership with BOHO ( Boulder Outreach for Homeless Overflow). We laid out the blankets that our guests would sleep on for the night. One blanket that served as their bed on the hardwood floors. We greeted them, served them food and rotated around the room offering desserts. We had the opportunity to talk to some of our guests, others were tired, cold and hungry and simply wanted to eat and close their eyes for some rest. As we drove home, our daughters, ages 17, 16 and 13, reflected on the evening. The experience granted them perspective on their own lives, but more than that it allowed them to challenge the stereotypes so many of us have about the homeless. They reflected on the warmth, the gratitude, the eloquence and even the sense of hope that they encountered with so many of the people they served. They noted the smiles that met their own & reflected on the diversity of our guests. They were young, they were old. They were disabled and able-bodied. They were quiet and they were outgoing. They were single and they were couples. It isn’t the first time we’ve given our daughters the chance to participate in a volunteer project that serves the needs of others. We’ve done it many times. It’s an important value for us. But yesterday evening, I believe, gave them the greatest opportunity to see, really see, the human beings who are without homes, not simply “the homeless.” They were moved by the people that they met.And each of them agreed that they very much wanted to participate in BOHO again. This weekend, at the culmination of Hanukkah, we will head into Boulder with bags that we put together on the second night of the holiday; bags full of water, hand warmers, snacks and notes of kindness. We will personally hand them out to our homeless neighbors, those we so regularly encounter on the streets of this college town. We will keep the rest on hand in our cars, to ensure that whenever we pass another human being who is hungry and in need, we can give them a little something to quench their thirst, fill their bellies and show them that we care, that we see them and that they matter. We will also volunteer some of our time with Community Food Share. We won’t avert our eyes to the strangers in our midst. We can, in whatever capacity that we are able, reach out and act with compassion, faith and humanity. That is what we want to teach our daughters. That is the ultimate lesson we hope that they will carry through life. So, what does all of this have to do with Donald Trump? I’ll tell you. It’s quite simple you see. Donald Trump offers sweeping, hateful, fear filled generalizations of people. He labels, he demonizes and he feeds on the worst notions that we have of the stranger. It’s hard to out shout him and we certainly can’t out spend him or find for ourselves the same type of bully pulpit from which he espouses his views. But here is what we can do. We can give our children and ourselves the opportunity to have encounters with those who are different. We can engage in dialog with those whose socioeconomic, race, religious or even political views, are outside of the daily realm of our own lives. We can look them in the eye. We can introduce ourselves and we can talk to them. We can offer a smile or a kind gesture. We can, in short, begin to recognize the humanity behind the label or the circumstance. This is what happened for our daughters last night. This is what we hope will continue to happen each time we act upon the teachings of our Jewish faith. I know, our food bags and our time serving others isn’t a global movement, nor does it address the overwhelming and very real challenges we face as a nation and as a people. But it does teach our children, our three precious daughters, to open their eyes wider. It teaches them to meet the stranger with compassion and to refrain from easy judgments and stereotypes. It teaches them humanity and compassion for others. It teaches them to answer hate with love, bigotry with acceptance, apathy with action and cruelty with kindness. And, we hope, it helps to protect them from getting swept up in demagoguery that categorizes anybody else as simply an “other” or an entire group of people as evil or villainous. It is our own family’s answer to the dehumanization of another human being based on race, religion, sexual orientation, socioeconomic standing or other differences. Answer with humanity. Answer strongly and with your whole self. Answer wherever & whenever you can. And where there is darkness, seek always to be a source of light.